Baseballs and bats make learning fun. 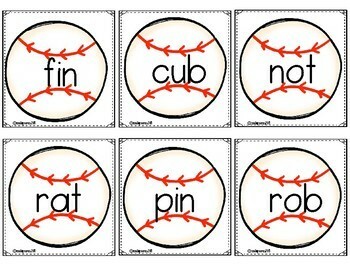 Real and nonsense words on baseballs add an "e" bat and make a new word! 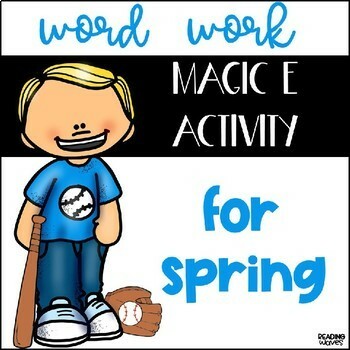 Students can practice reading magic e words with this magic e activity for spring! 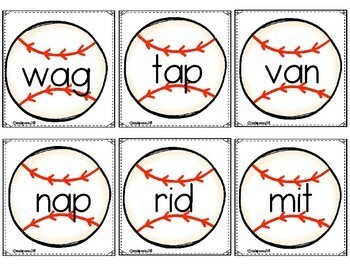 Included in this product, baseballs with real and nonsense words, vowels included are a, i, o, and u. Can be used in small groups, independent work, word work center, partner work, morning bins. Print, laminate, cut. 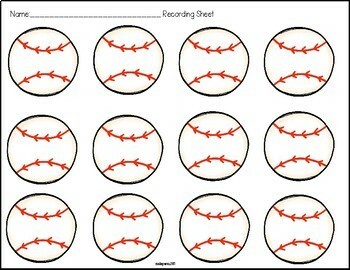 Keep baseball sheets as a whole sheet or cut out. Follow my TPT store for updates, new products, and freebies! Make sure to leave feedback to earn credit.